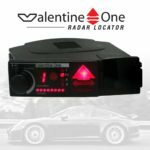 A radar detector works like a radio tuned to microwave frequencies. Valentine One is an extremely sensitive radio, and it’s tuned exactly to the frequency bands used by traffic radar systems. Moreover, it has two antennas; one aimed forward and one rearward, so that it can locate the radar. Because Valentine One is so sensitive, it can easily find radar from the scattering of the beam, and it can find these scatters a long time before the actual beam hits your car. The only exception is Instant-on radar. V1’s legendary reputation is built on what’s inside. The magnesium case still looks identical to the original, but the electronics inside have been completely changed time and time again. Valentine Research believes in continuous improvement. 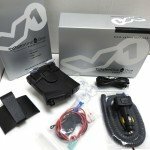 That’s what keeps V1’s performance ahead of the pack. Military strategists agree – that successful defense begins with good intelligence about the enemy. Full coverage allows the V1 to find all radars and lasers. Valentine One covers all four bands. X band, K band, Ka band, Pop Protection, Ku band, Euro mode and Laser. 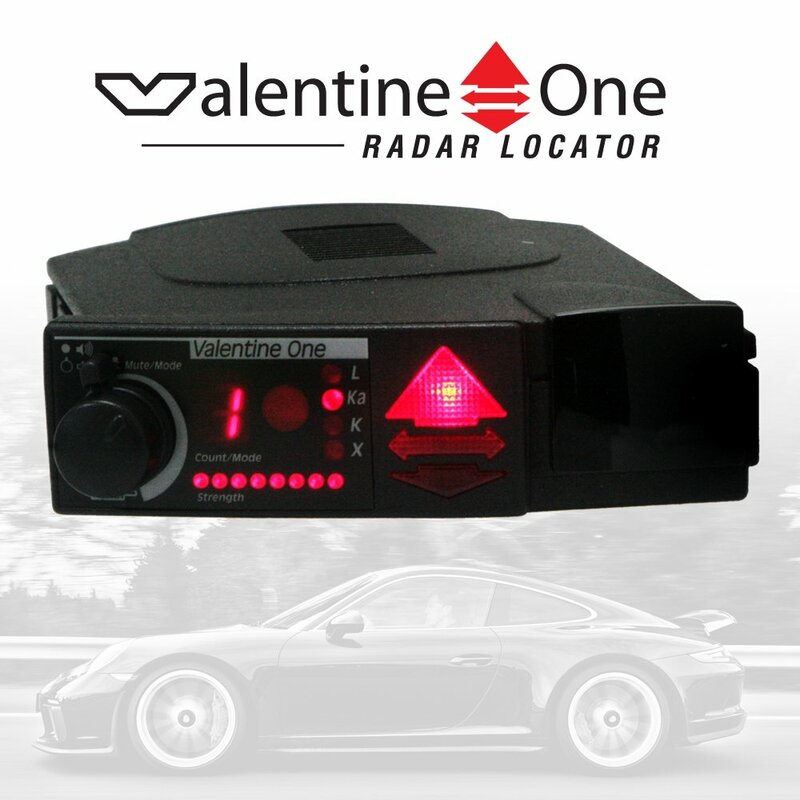 Valentine One uses arrow indicators to identify the location of radar threats. You are vulnerable to radar either ahead of you or behind you. But radar can’t get you from the side. 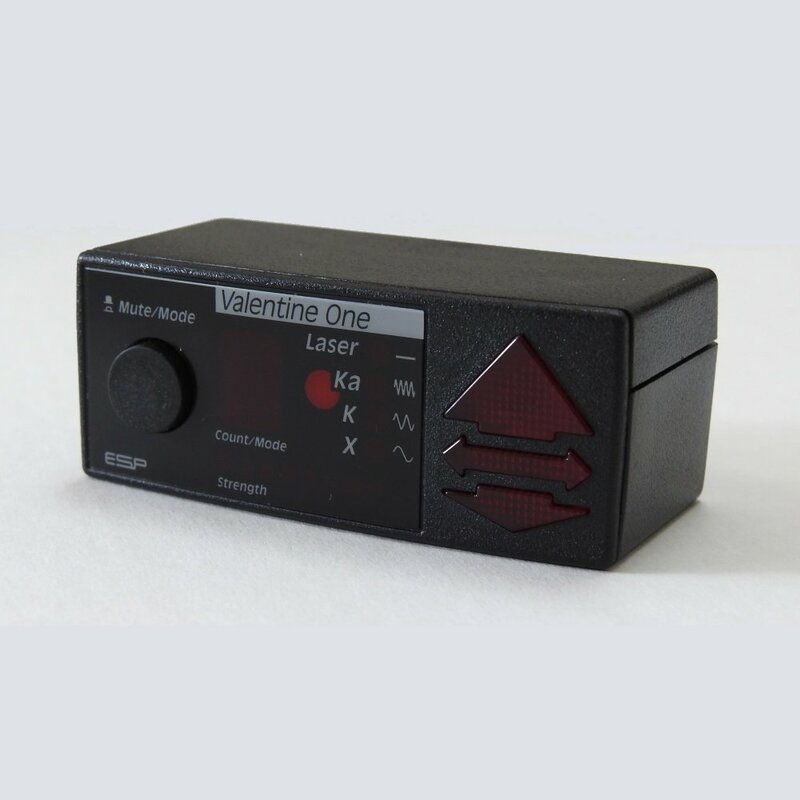 Valentine One also locates the laser source, either ahead or behind. Like radar, laser can’t get you from the side. 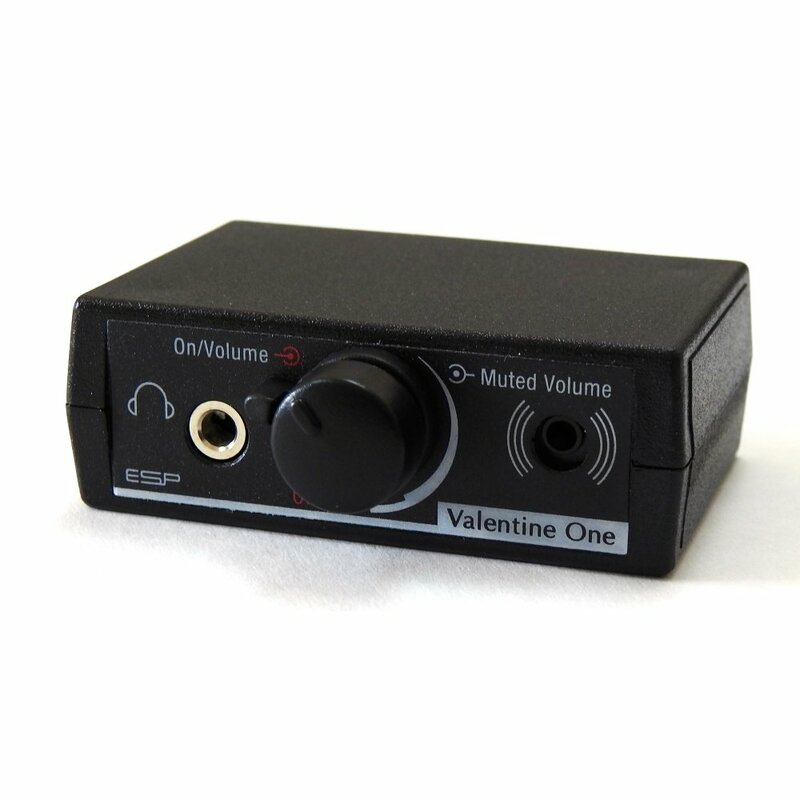 Valentine One has two controls for loudness so you can take complete control of sound. The Control Knob sets what I call “initial” volume. This is the loudness you will normally hear on initial radar contact. Once you’re aware of the threat, you can drop to a quieter, reminder sound, which is “muted” volume. Just press the Control Knob. The lever behind the knob adjusts this muted volume. How loud do you like your reminder? The choice is yours. During any alert, press the Control Knob. Audio volume will drop to the muted level. Valentine One’s audio warning indicates radar strength. It gives a very slow Beep for X band (Brap for K band, Brap-brap for Ka band) when it encounters weak radar, then quickens as radar strength increases, and becomes a continuous tone about the time you’re in range. This long gradient, from slow Beep to continuous tone, makes it easy to estimate radar proximity, which is very important during brief Instant-on encounters. In the case of multiple bogeys, the audio warning will always monitor the greatest threat. is an unknown, a bogey. But an alert may consist of more than one bogey. There could be many. Let’s say you drive by a burglar alarm on the way to work every day that causes an alert. Then one day you pick up an additional bogey. This new bogey could be radar hiding under cover of the burglar alarm, picking off the unwary. You must assume each alert is radar until you’ve identified the bogey. Example 1: Let’s say your detector is in full alert, then you see a radar unit. Naturally you assume the radar you saw is the cause of the alert. But what if there’s another radar unit just up the road waiting for you? 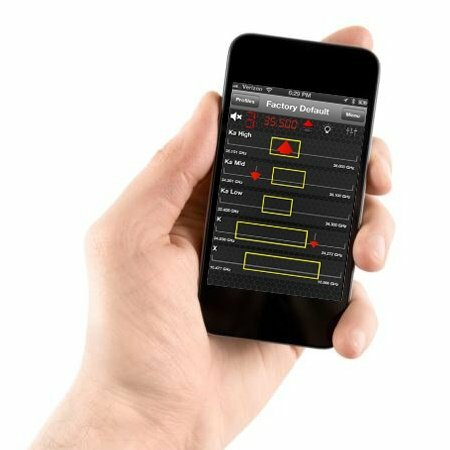 Example 2: Let’s say you’re in an alert caused by a known X-band burglar alarm. What if a radar operator, using Instant-on, is simultaneously working the same territory? 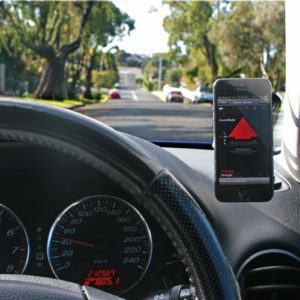 In both cases, an ordinary radar detector would set you up for a big surprise because it would lead you to believe that only one bogey was out there. Valentine One is your insurance against surprises. It always tells you how many. 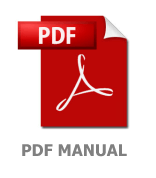 In the All-Bogeys® (A) mode, all bogeys will be reported as soon as they are detected. Use your judgment to decide whether or not they are threats. In the Logic® (L ) and Advanced-Logic® (l ) modes, you are deferring to the internal computer which will use its own logic to screen bogeys before reporting them to you. In Logic, X-band bogeys the computer judges to be non-threatening will be reported at the “muted” volume. If they become threatening, the audio warning will upgrade to the “initial” volume before you are within radar range. In Advanced-Logic, X-band bogeys that the computer has reason to believe aren’t radar will not be reported at all. One exception: To be failsafe, the computer will always pass extremely strong signals along for your judgment. This mode is particularly useful in metro areas. The computer is smart: It never operates the receiving circuits at less than maximum sensitivity and it knows that Instant-on is a greater threat than ordinary radar. So it will always warn you immediately at the “initial” volume when those radars are detected, no matter what mode you’ve selected. To change modes, press and hold the Control Knob for one second. 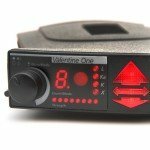 Valentine One is designed to track multiple threats. During an alert, when Valentine One locks on to an additional bogey, it notifies you with the Bogey Lock tone (“Dee- Deet”). This sound will never be heard at any other time, not even during the power-on ritual. Whenever you hear this sound, it means that another bogey has been detected and is being tracked. The bogey counter shows the number of bogeys being tracked at that time. The Valentine 1 is very usable in a bike application with some extra accessories. 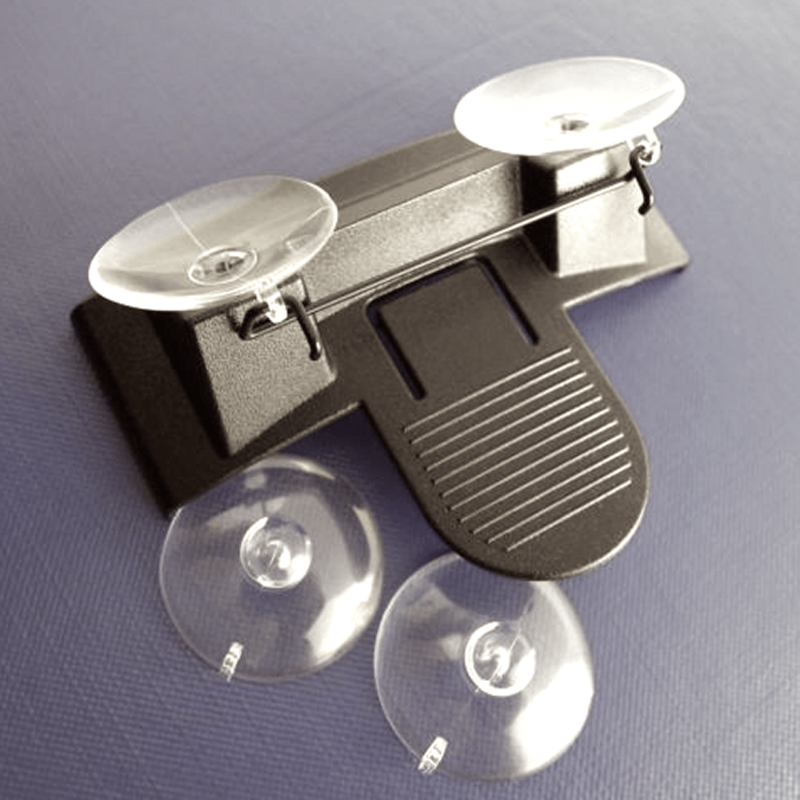 The V1 offers a higher level of performance with addition of the arrow keys to identify where the signal is coming from. To make it work on your ride, you will need a mount, a weather cover and the Helmet Assisted Radar Detection (HARD) system to give an visual alert in your helmet. Out of the Box the Valentine One has factory presets. 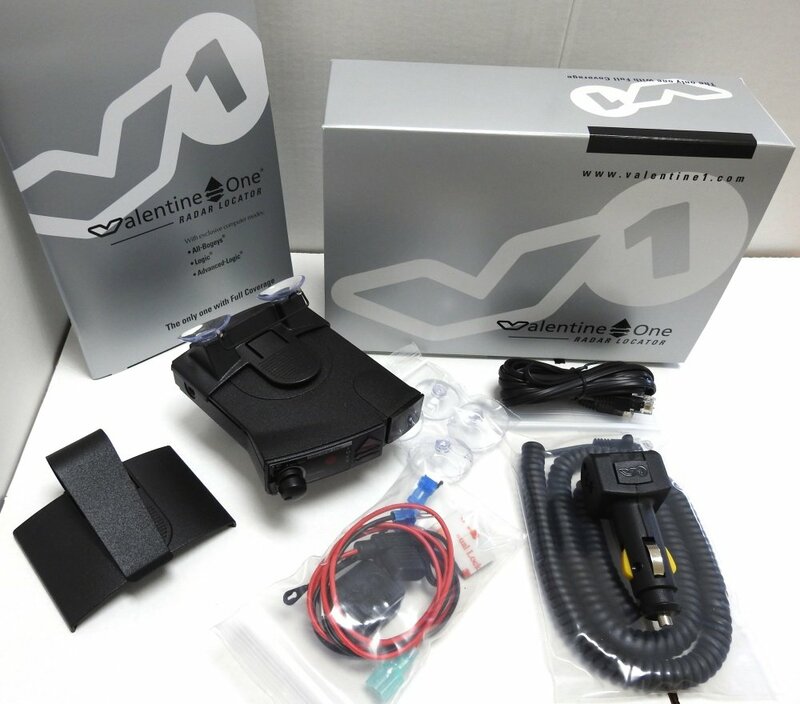 Here at Radar Direct we reprogram the unit so you get the maximum benefit and performance from the product. Adding to that we pre-test all the units against our radar and laser gear to make sure what you walk out with, is working 100%. No other reseller in NZ can offer this service nor do they have the 20 years of technical expertise that our Company has.